Check out the bona fides of James Gustave Speth. 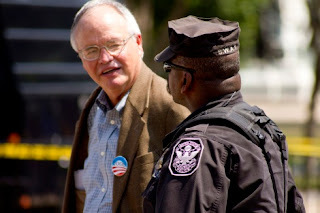 The image in today's posting is of Mr. Speth being arrested in a protest at the White House in August 2011. 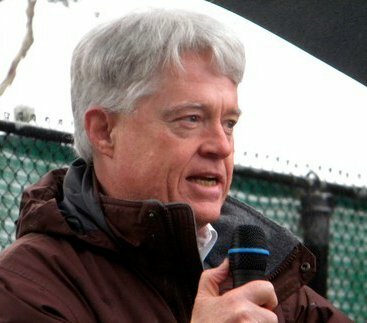 Previously, Mr. Speth served as the Chair of the Council on Environmental Quality under President Jimmy Carter, and was thus used to getting a warm welcome at the White House, not being arrested at its gates. A recently-published interview with Mr. Speth is well worth reading. He is aiming at a "post-growth economy."